Goodreads says, "This long-awaited novel by the author of The House at Riverton begins with a long lost letter. Its contents compel young Edie Burchill to journey to the eerie realm of Millderhurst Castle, where her mother, then just 13 years old, waited out the London Blitz. What Edie learns about those distant hours in that faraway place will forever change her view of her mother and herself. A subtle, artfully constructed story about place, the past, and time's reverberations." Edie Burchill's life changes forever with the appearance of a long lost letter that is sent to her mother. This letter then sends her on a journey to Millderhurst Castle which is where her mother lived for some time as a young girl when she evacuated London during World War II. Edie meets the odd Blythe twins, Percy and Saffy, as well as the youngest and equally strange sister, Juniper. Juniper is troubled; she hasn't really recovered since her fiance left her many, many years ago. While Edie is on this journey, she finds out some secrets about her mother as well as secrets of the Blythe family and the Millderhurst Castle. 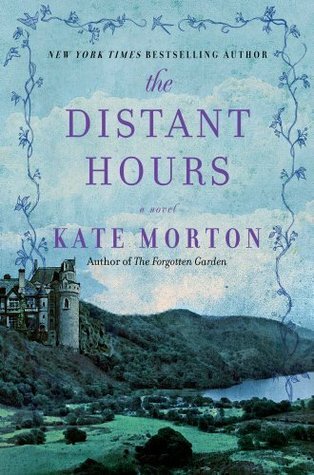 Kate Morton's The Distant Hours is a haunting tale that will leave readers guessing the outcome until the last page. Morton, although not new author, is new to me. I am so very impressed with her writing; she is an expert storyteller. 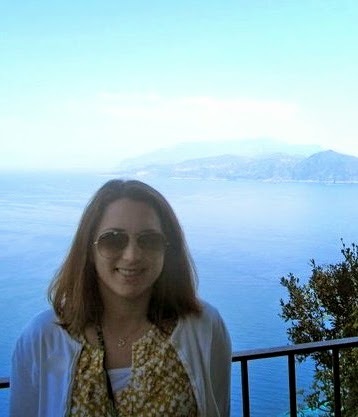 Not only did she jump from various points of view, she also jumped through the years when telling her story. At first, I was a bit confused, as I am VERY used to reading young adult literature which is much easier to follow, but once I trusted Morton, the story really developed. The last one hundred pages, I read desperately, because finally all of those puzzles pieces were coming together. If readers can trust that Morton will bring the many plot lines together, they will be delighted as well as enthralled by this mystery. I must admit that that I haven't read a novel in years that was put together so cunningly. The mood that Morton created was reminiscent of the many Gothic novels I read in college for a required literature course. There's a dark castle that is beyond spooky, there's secrets, deaths, pet cemetery (need I say more? ), bizarre characters, and even the voices of the past that the castle can't seem to shake. Morton does an amazing job creating a Gothic novel that is overflowing with an eerie mood. The characters were like something out of a Dickens' novel, especially Juniper. She reminded me so much of Miss Havisham from Great Expectations . What a piece of work Juniper is! Not going to lie-- her character freaked me out and in combination with the creepy setting and the many mysteries, I was completely captivated. The only reason I didn't award this book with five stars is the length. I felt like it was a monster of a book. I don't know if I am out of shape or what, but holding a hard back of that size was tiring! No joke! Towards the middle of the novel, I was a bit like "get on with it, will you?" but I am so glad I stuck with it, because, despite its overwhelming length, it turned out to be one of my favorite reads of 2010. Kate Morton's The Distant Hours is the perfect winter tale. It begs for readers to curl up on the couch by the fire and enjoy this mysterious and mystifying tale. I, for one, am now a fan of Kate Morton and will keep my eye out for her work in the future! I got The Distant Hours for my mom for Christmas (with the full intention of borrowing it immediately after she unwraps it). You should Kate Morton's last book, The Forgotten Garden. It's incredible. Thanks for the great review!! My mom has had her eye on this one, she loved the author's previous book! Sounds like it's awesome! I love books with intersecting story lines and a good mystery. 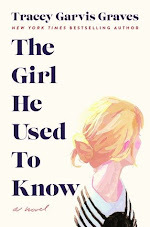 I am going to put this on my TBR list. By the way, this review is wonderful. You are quite the writer as well! Thanks for checking out my review, Carrie, Juju and Svea! Stephanie- I definitely am adding Forgotten Garden to my TBR list. Lit for Lunch- Thanks for the kind thoughts! I love, love, love the sound of this one! I have it saved for holiday reading, and I can't wait to get stuck in! My copy is paperback, but it's pretty weighty too! I've also read The House at Riverton by Kate Morton, which is a great read. You should check it out for sure!